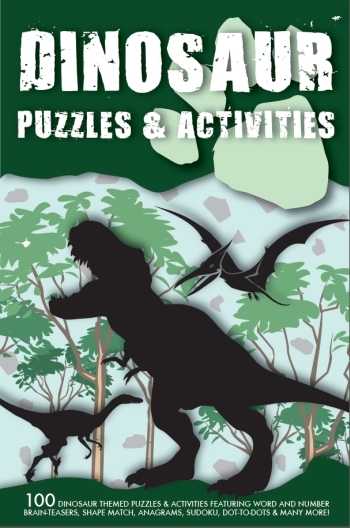 Welcome to this fantastic collection of children's puzzles & activities for dinosaur lovers! Featured inside are 100 great challenges with lots of dino related questions. 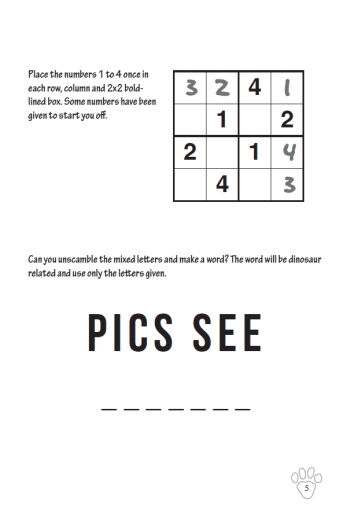 Can you find all 50 dinosaur words in the grids? Are you able to match the fearsome shapes? There's even animal maths! Can you complete the sums? Solutions are featured towards the back of the book so do check your answers there. Puzzles are printed on a large 6x9 inch page size and on high quality paper.